Into the Wild. . HD Wallpaper and background images in the Into the Wild club tagged: into the wild emile hirsch wallpaper movie. 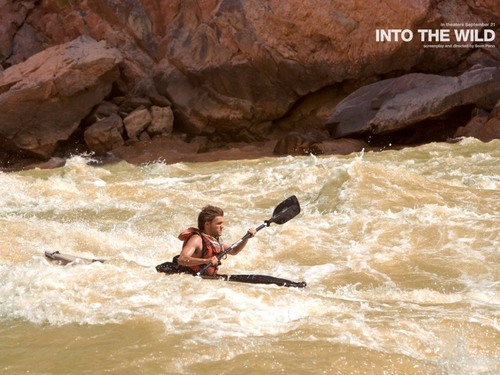 This Into the Wild wallpaper contains rakit, sampan kecil orang eskimo, kayak, shell, shell racing, and shell balap. There might also be balap perahu, kano, and dayung.